Goddammit I always try not to get that hyped but whenever more Metal Gear comes out the Hype Meter goes to 11. KOJIMAAAAAAAAAAAAAA!!!!!!!!!!! I'm not sure, but I looks like that MGS finally has gone in a direction I don't like. This is the first trailer (at least form my recollection) that completely lacks any sort of stealth or infiltration. Also I it seems that Ocelot is not the 'torturing-for-fun' and 'killing-a-shipload-of-marines' guy he used to be. I seems like the bromance with Big Boss is getting a front seat this time around. Looks like MGS is running out of bad guys. A real shame. I seems like the bromance with Big Boss is getting a front seat this time around. I'm confused. Do you agree with me and even add to my statement that also the previous MGS5 trailers lacking stealth and infiltration? Or do you try to make a point that those trailers contain stealth and infiltration (which would be rather strange, because i said "This" trailer i.e. the GDC trailer i.e. the trailer linked by jack)? Do you by any chance know the work of zarla (http://zarla.deviantart.com/gallery/)? Well, I'm sure that it will at least be better than MGR was. It will be better. But the sad thing is, that David Hayter won't return as the voice of Snake. japanese voice actor, Akio Ōtsuka, will reprise his voice as Snake, which is unfair in my opinion. for The Twin Snakes. Without David and his work, Metal Gear Solid wouldn't be as great as it already is. I came home to Los Angeles for the holidays. I heard then, that recording sessions for MG:V were being put together. So, I got in touch with someone involved in the production. We got together for lunch, and he told me that they “wouldn’t be needing me” on this game. No reason, or explanation was given beyond that. To be clear, I love being a part of the world of Metal Gear. I admire its technological innovations, the gameplay, the political message of it all. But primarily, I love the fans of these games. Two grown men burst into tears upon meeting me at the Vancouver Fan Expo last year. In 1998, I tried to do come up with a voice which epitomized the kind of worn, put-upon, genetically-engineered clone-soldier that I saw Snake to be. of time and effort into creating a compelling character, capable of expressing the myriad emotional, physical and psychological hurdles that Snake has to face. You see, David Hayter would like to return. Even the fans want him back. Let's make this happen. be the chance to convince Hideo Kojima to reconsider his decision. To those who don't know it yet: It's official, Kiefer Sutherland will replace David Hayter as the voice of Big Boss. He will even perform the motion-capture for Big Boss. I don't know what has driven Hideo Kojima to do that, but it's still a bad decision. The voice of Kiefer Sutherland doesn't even fit at all. To me, he is Jack Bauer and David Hayter is the true Snake/Big Boss. it felt like a real person was talking. David Hayter literally breathed life into the character. Compared to Metal Gear Solid, the voice-artists in other games are just amateurs who seem to not even try to sound unique or authentic. David Hayter owned the role and Hideo Kojima should respect it. I'd say Akio Otsuka has always been a way better fit, a shame we haven't been able to have the game subtitled so far. Unfortunately, he'll probably have to dub Sutherland's facial acting for the Japanese version. The change probably comes for something they couldn't agree on, who knows. It could be anything, from creative freedom to money. Personally, I don't watch TV so I have no previous recollection of this Sutherland guy, will have to see how I feel about it and get used to it. I must admit that I found Hayter's performance in MGS4 too over the top though. Maybe if I was a bigger Metal Gear fan I'd be more sour with Sutherland taking David Hayter's place. Though figuratively, if David Hayter absolutely had to be replaced, I'd go with Kurt Russell (AKA: Snake Plissken, from Escape From NY) who I always think of as "the original Snake". I don't like 24 so I'm skeptical. Hope he does a good job though. The konami pre-e3 vid made me feel better about it. Honestly, it's not that big a deal Hayter isn't returning. 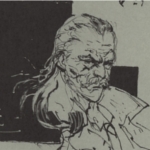 I feel bad for how he found out, but honestly, if everyone is so upset that he won't do Big Boss's voice, why weren't they upset when Richard Doyle did it in MGS4? Akio Otsuka is an established voice actor, David Hayter is more of a screenwriter who does some voice acting. If kojima wants a more professional and higher-quality voice actor who can do both motion capture as well as voice, then that's fine. Besides, he sounds like a good mid-ground between Hayter's voice from MGS:PW and Richard Doyle in MGS4. Remember, Big Boss is aging here, and his voice should reflect that. Hell, Ocelot's new voice actor sounds close to perfect for what he's falling in between. I suppose I'm biased for not seeing 24 (the most i saw of Keifer before this was Phone Booth) but I love David Hayter and he will always be Snake to me. But this is Big Boss, and he's getting older. If we see another appearance of Solid Snake without David Hayter, THEN i'll get mad. But I trust Kojima knows what he's doing with the atmospheric changes that need a more seasoned VA.
Guys, I got some great news. It is hinted that David Hayter might return as Solid Snake for The Phantom Pain. Many sources "confirm" that, including Twitter. And on IMDb, he is listed in the cast as David. If it's true, it would be totally awesome. What twitter mentions this? As for IMDB it's hit or miss, as YongYea says in one of his announcements on the series, IMDB is sometimes as editable as wikipedia. Besides, until they get a more complete cast up there I'd be hesitant to believe much. Beat Ground Zeroes three times, A-ranked all Extra Ops, got all Chico's tapes and XOF badges and spent over 16 hours. Whoever whining about the short playtime is either a BS, or a GOTTAGOFAST speedrunner. While I was reading the staff roll at the end of Ground Zeroes I noticed that Marc was listed as one of the four translators / editors working for INTAC / INTAC Plus. I think that's worth mentioning. Anyway, I thoroughly enjoyed Ground Zeroes. It has its flaws, but the overall experience is superb. I've grown quite fond of the soundtrack, which came as a surprise to me because I usually tend to dislike more cinematic music. I find it to sound kind of bland and uninteresting, but here it really works wonders for painting whatever mood the game is trying to express. Here's the credits on YouTube, go to 6:56 for the localization credits. So that's why Marc isn't here for a while, heh-heh. We gotta send some more guys from JunkerHQ to Kojima Productions! Aw shieet, it's the Sonic forums all over again. Ground Zeroes really impressed me! I was already hyped for the game, but KojiPro delivered something beyond my expectations, specially with the open gameplay (allowing you to approach a mission on different ways) and refined AI. I saw a lot of people complaining about the game length before the release, but GZ is actually pretty big if you play the whole content. With that in mind, The Phantom Pain is shaping to be one of my favorite Kojima and MGS games (the open world nature seems to be incredible). Can't wait for more trailers or gameplay! Since nobody posted the E3 2014 gameplay video, here we go! Marc, I take it it was you who wrote the fiddle line, right?